As the second largest student employer on campus, it is important the Department of Recreation and Wellness shows its students how valuable they really are. As the end of the semester approaches, student employees are faced with large workloads. Trying to balance final projects and work at the same time can be very stressful. RecWell finds this as a perfect opportunity to show students how much their hard work is appreciated. 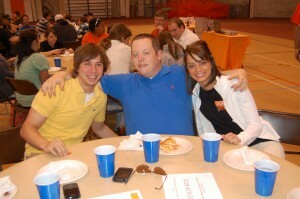 On April 22, 2010 students were invited to attend an end of the year student recognition celebration organized by student supervisors in each facility. A lot of preparation and planning goes into this banquet to ensure every student employee receives the recognition they deserve. 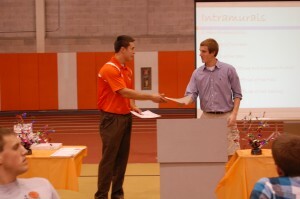 During the banquet each facility hands numerous awards and prizes. Some of the awards consist of ‘Most Enthusiastic’, ‘Best Relief Worker’, and ‘Rookie of the Year’. 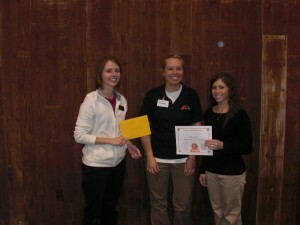 Outdoor Program Office Manager, Angel McFarland was a Rookie of the Year award winner this year. The award represents the employee that showed the most enthusiasm, excitement, and dedication during their first year of employment with RecWell. 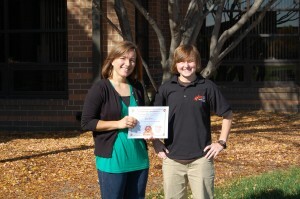 The Department of Recreation and Wellness delivered a special recognition to Web Technology Manager Melissa Rausch as she was awarded 2010 Co-op of the Year. 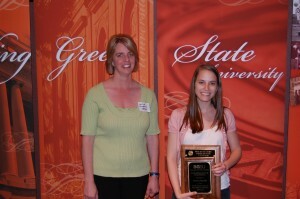 Melissa was first nominated by Supervisor Lona Leck, and then chosen by the University among 25 other nominees. As an intern with the Recreation and Wellness Marketing Department myself, I have thoroughly enjoyed my time working here. One thing I have noticed during my internship is how positive the work environment is. Even when student employees aren’t on the clock, they still want to be here. Students are motivated to go above and beyond what is expected because of the positive reinforcement given by the staff. The Department of Recreation and Wellness is much more than individuals putting in time for a paycheck. It is team of eager, enthusiastic, and hardworking individuals striving to make Recreation and Wellness the best it can be. According to the U.S. Department of Justice’s National Crime Victimization Survey, every two minutes someone in the United States is sexually assaulted. Because of these alarming results, the month of April has been designated Sexual Assault Awareness Month. In recognition of Sexual Assault Awareness Month, 82 BGSU students lined up at the starting line for the second annual Sexual Assault Awareness 5K. 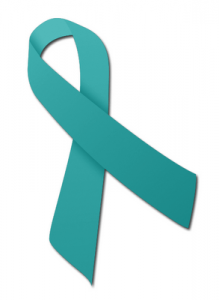 The event was put on by The Department of Recreation and Wellness to raise money to increase the awareness of sexual assault and educate the community on how to prevent it. All of the proceeds made from this event were given to the Cocoon Shelter. The Cocoon Shelter opened its doors to battered women and children on June 14th, 2005. Since then it has been a safe emergency home to the overwhelming amount of women and children in the area that are in need of help. The event gave participants the option to run or walk during the 5K. There was no pressure as to who would get across the finish line first, but rather an emphasis that everyone who crossed the finish line contributed to a good cause. A lot of students found this as an opportunity to get a good work out in while making a difference. “College women are a huge target for sexual assault, and because I fit into that category I thought it was more than necessary to come out and run to increase awareness,” said participant Sarah Nitkiewicz. Emotions of excitement, exhilaration, and exhaustion were flowing in the BGSU Student Recreation Center this past weekend. 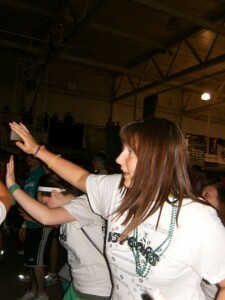 Dancers, Moralers, Visitors and more gathered for BGSU’s 15th annual Dance Marathon. For 32 straight hours students are on their feet raising money for the children of Mercy Children’s Hospital that are ill or injured. This year students provided hope and inspiration to the miracle children and families by raising an impressive $152,119.61. Although there was a decrease of 200 dancers this year, the results proved that hard work and dedication can allow students to hokey pokey their way to big achievements. 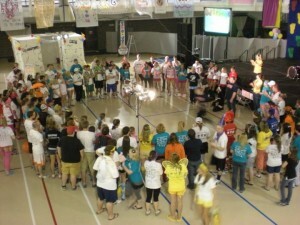 In order for Dance Marathon to be successful, a year-long effort is required. 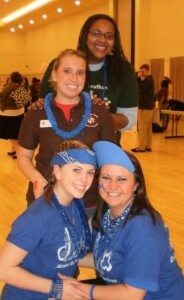 BGSU Students play different roles to ensure everything pulls together come the day of the event. 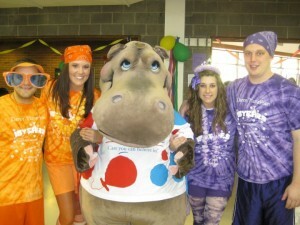 Dancers are students who are on their feet for the entire 32 hours raising money with every dance step they take. Moralers are the students who provide physical and emotional support to the dancers, whether it be a back massage or words of encouragement. 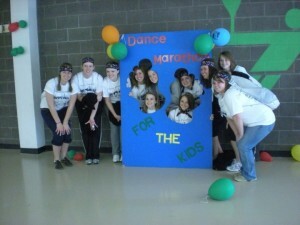 Bikers are a different component of Dance Marathon. They bike 180 miles from Cincinnati to Bowling Green, raising money for “Bike for Tikes”. And of course, Dance Marathon would not be possible without the Steering Committee, a group of students selected to run Dance Marathon. For 15 years now BGSU prides itself on having “One of the largest and most active Dance Marathon Organizations in the nation,” according to the BGSU Dance Marathon Web Site. Students are encouraged to continue this successful tradition by signing up. 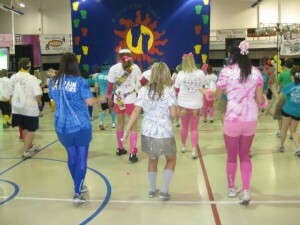 More information can be found on BGSU’s Dance Marathon Web Site. We’re giving you the chance to sit it out or dance, and we hope you dance. In a riveting scene from the motion picture, Remember the Titans, Julius Campbell says one of the most defining lines of the entire movie. After arguing with the team captain he states, “Attitude reflects leadership, captain.” Although this scene does not exactly represent Recreation and Wellness’ Student Development and Leadership Program, this phrase certainly describes the leaders within. The Student Development and Leadership Program (SDL) is designed to teach and enhance the leadership skills of employees within the Recreation and Wellness Department. The sessions are conducted by professional staff, graduate assistants and other experienced and knowledgeable people linked to the University. SDL is beneficial to RecWell employees because it is informative and motivational at the same time. The program prepares students for their current jobs in RecWell, as well as their future. No matter what career paths they choose, this program will motivate them to be successful. Because the program is completely voluntary, incentives are offered to the participants. The incentives include: Learning to be a leader, opportunities for promotion, career development, recognition events, Rec Bucks and of course CASH! Students can make up to $50.00 for attending every session. 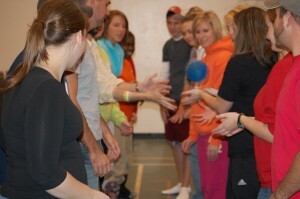 During the sessions, students participate in a variety of activities both individually and in teams. Student Supervisor Joanna Larkin described the activities as an interactive setting that helps students better understand the message. “At one SDL, we met at the climbing wall and practiced team trust building,” she said. “At our money management session, we did an activity that allowed us to figure out what type of person we were when it comes to saving vs. spending.” Other sessions have included activities such as resume building, a starlit night hike, and a tour of the behind the scenes in RecWell. Larkin emphasized the fact that even though most of the sessions are held on a Friday and may seem boring, they are actually very fun. “They are a great way to build your resume, build your relationship with your co-workers and peers, and ultimately build your character,” Larkin said. The last workshop for the spring semester is on Friday, April 23 at 3:30 PM. The workshop is titled, “How to Measure UP” and will cover focus groups. It will be held at the Student Recreation Center Youth and Family Room. The session is open to those students who have attended at least one SDL session. In order to attend, sign up at https://sa.bgsu.edu/forms/sdl-classes.php. The “captains” of Recreation and Wellness are obviously aware of the relationship between attitude and leadership. They set aside time in their busy schedules to ensure their employees are receiving the proper training and leadership experience they need. If it were not for these “captains” reflecting positive attitudes upon their players, the program would not be as successful as it is. 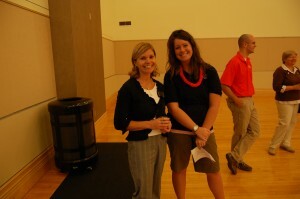 The Department of Recreation and Wellness employs 200 to 300 BGSU Students each year. These students are all individuals who believe in RecWell programs and are passionate about their work. In order to continue the excellence these students offer to the program, it is critical to show them the recognition they deserve. One of the most traditional ways RecWell implements recognition into the workplace is selecting an employee of the month. 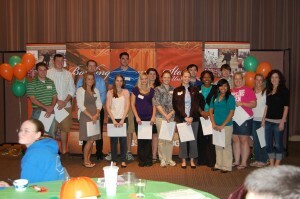 Students are chosen by the Student Employee Board each month. The board submits names of students they feel have earned this title, discuss the nominees and then vote. So far this year, eight student employees have earned the Employee of the Month title. When named Student of the Month, students receive a certificate that reads “Employee of the Month”, their name and picture on the RecWell web site, and the student favorite: a gift certificate to The Cookie Jar. While Employee of the month is a monthly incentive program, there are other incentives that encourage students to work hard on a daily basis. Incentives such as Rec Bucks, the Student Development and Leadership Series and end of the semester banquets ensure that students receive the recognition they deserve year round.